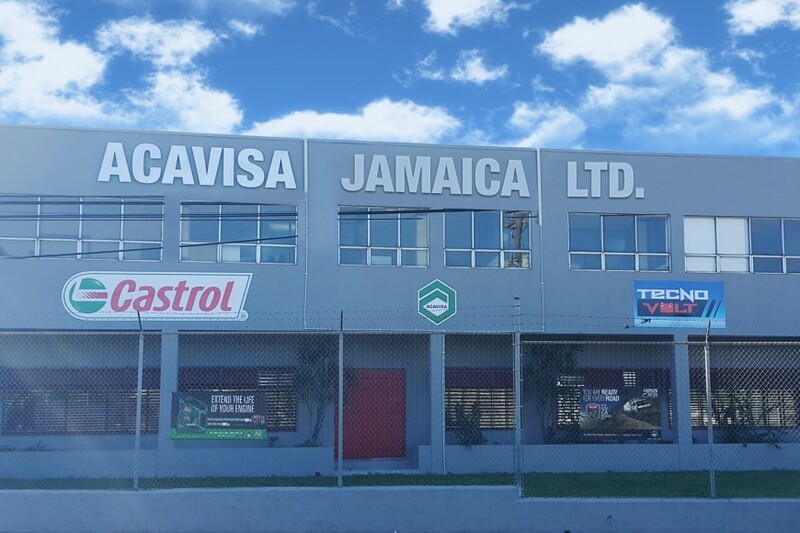 ACAVISA Jamaica Ltd. – Exclusive distributor of Castrol – Acavisa Jamaica Ltd.
As part of ACAVISA’s vision to keep growing and be a leader in the automotive products industry in the region, it has extended it’s operations into Jamaica. The company started in El Salvador (it’s regional headquarters), then expanded to Honduras where two venues where opened, one in Tegucigalpa and one in San Pedro Sula. 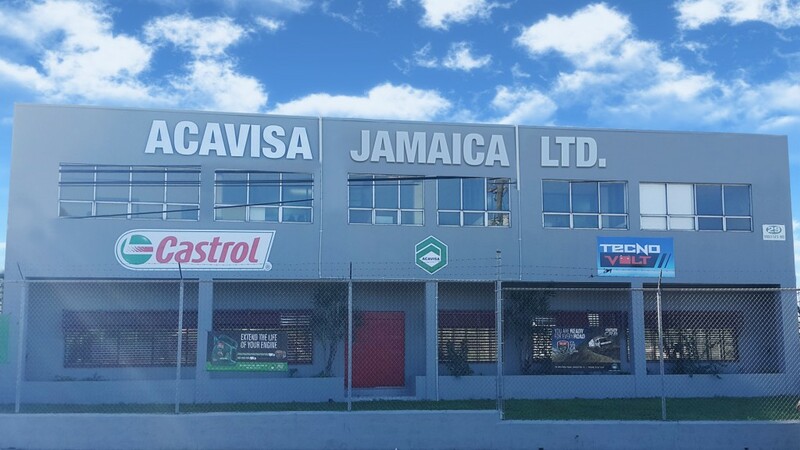 And, last August, it began operations in it’s new Jamaican company, ACAVISA Jamaica Ltd.
ACAVISA Jamaica Ltd. got the impulse to start operations in Jamaica when it received the rights for the exclusive distribution of the prestigious Castrol brand of lubricants in this country. This opened the doors to a new market, with a different culture. With that, ACAVISA proves itself as an ambitious company, able and willing to compete in different countries across the region. For the time being, ACAVISA Jamaica Ltd. is distributing Castrol lubricants and it’s own brand of batteries, Tecno Volt, yet not closing the door to distributing more of it’s products in the future. These could be it’s line of products for the automotive market and even the industrial market, just as it does in it’s home country, El Salvador. For ACAVISA, it’s an honor to be present in the Caribbean, proving it’s got the confidence and quality to keep on growing.